Hit the streets for a dose of local street food in Da Nang! Roam around town guided by professional Aodai-clad women bikers for the ultimate local experience! 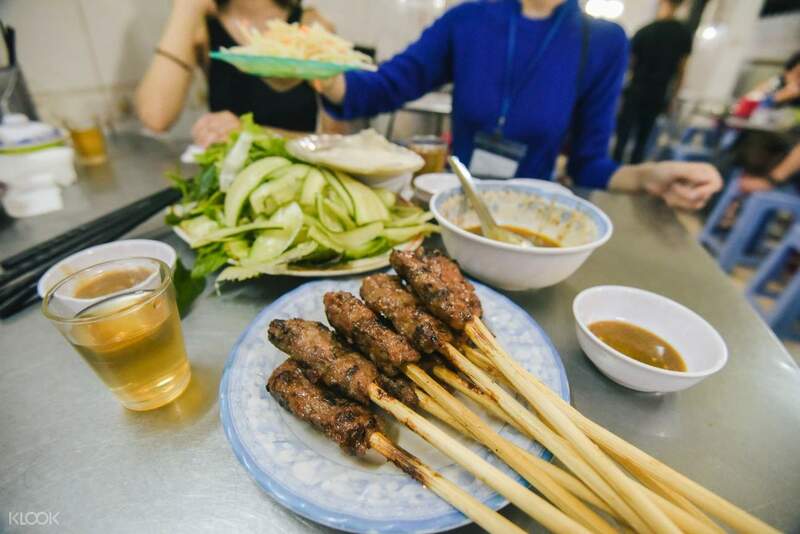 Experience a different kind of food crawl and dive into the incredible food scene happening in Da Nang! Feast your eyes (and stomachs!) 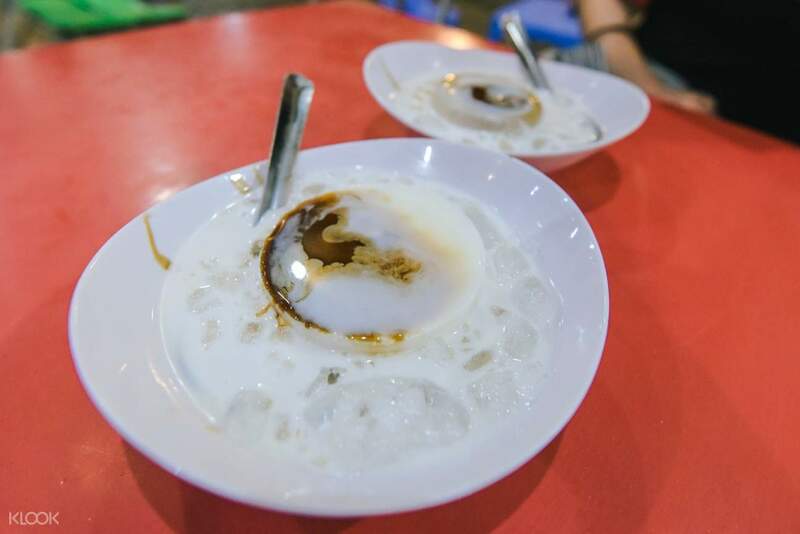 on some of the world's viral street food spots sizzling up local favorites including authentic bành mí, steaming hot noodles, and fresh-from-the-wok fried rice that make every mile worth the travel. 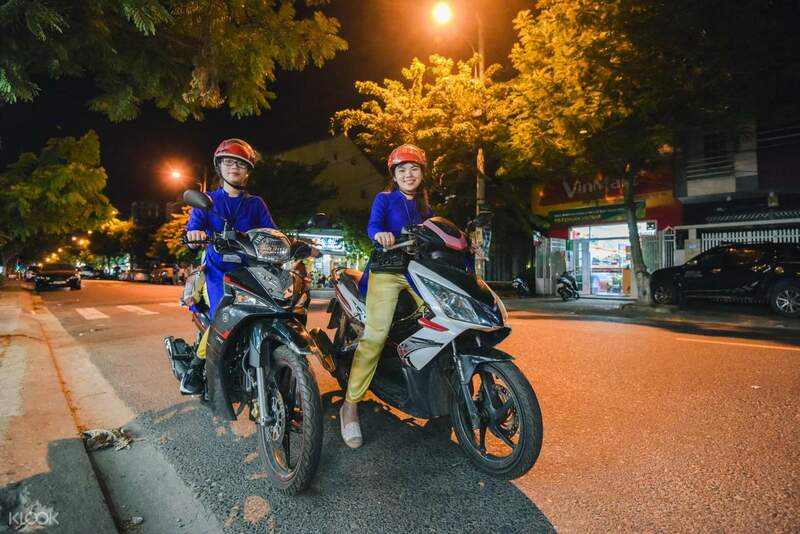 Guided by a professional team of Aodai-wearing female bikers, you're in for the ultimate Vietnamese experience as you roam the town's seediest parts all in the name of good food. Ready your taste buds because there will be 5 food stops waiting for you! Along the way, you'll pass by Da Nang's iconic bridges – Dragon, Love, and Han River Bridges – overlooking the gorgeous Han River opposite the pristine beaches in town. You can buy souvenirs to take home at the Night Market before you float in the air on the Sun Wheel, the 4th largest ferris wheel in the world offering a spectacular view of the city. Don't forget to pay a visit at the Da Nang Cathedral, a 70m high Gothic-style church known to locals as the candy-pink cathedral. Complete with pick up and drop off service, this tour is worth every penny if you're looking to experience Vietnam's every day local culture. 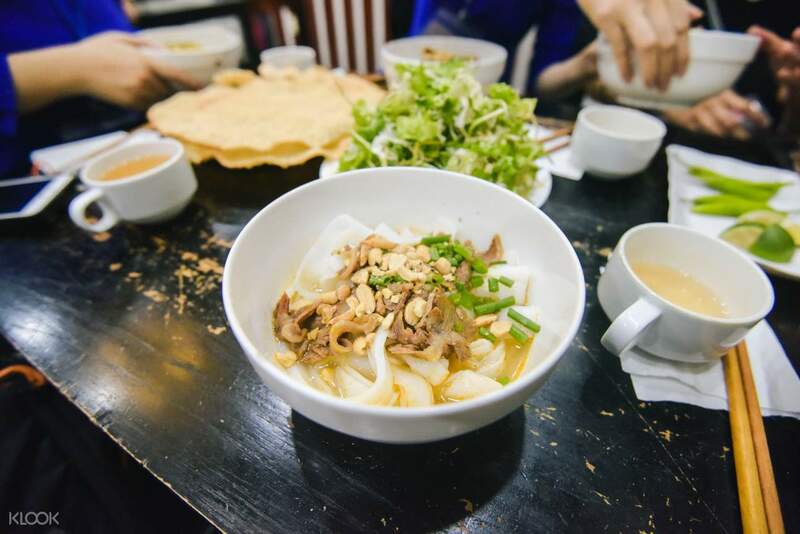 Savor a hearty bowl of Mi Quang – a local favorite in the Quảng Nam Province! The tour guides were friendly and told us about the local food. They were able to answer questions about the culture and it was a great way to explore the local food and culture. The tour guides were friendly and told us about the local food. They were able to answer questions about the culture and it was a great way to explore the local food and culture. It is one of my first food tour. Hien is very friendly and professional at the same time. I had some amazing food experience which would not have been not possible to know if I hadn't take this tour. Other than food the City Tour is also very nice. I strongly recommend this tour. It is one of my first food tour. Hien is very friendly and professional at the same time. I had some amazing food experience which would not have been not possible to know if I hadn't take this tour. Other than food the City Tour is also very nice. I strongly recommend this tour. I am pretty sure this was my best experience in Danang.They were waiting for us 10 mins earlier and kindly introduced the trip. They helped us understand Da Nang well. Without them, my trip would be boring. Thank you. I am pretty sure this was my best experience in Danang.They were waiting for us 10 mins earlier and kindly introduced the trip. They helped us understand Da Nang well. Without them, my trip would be boring. Thank you. The tour guide Vi is very kind and introduced a lots of local food hidden in Da Nang city. This is a great chance to explore the city from local people. Recommend for traveler who loves food. The tour guide Vi is very kind and introduced a lots of local food hidden in Da Nang city. This is a great chance to explore the city from local people. Recommend for traveler who loves food. very helpful, and bring us some neighborhood area. very helpful, and bring us some neighborhood area.